Playing the guitar and songwriting go hand in hand. 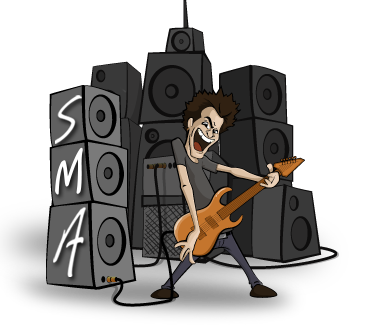 While not all guitarists write their own songs, many do (like Taylor Swift, John Mayer and Ed Sheeran). If you’ve never written a song before, it can seem like a daunting endeavor, but luckily we’ve prepared this handy dandy list of tips to help get you started. This how-to guide for songwriting makes the process easy and stress-free, so you can spend more time practicing your instrument and thinking up cool lyrics. Follow the songwriting tips below, and you’ll have a number one hit on your hands in no time! It’s hard to think creatively when you’re not feeling inspired. Channel your artistic muse by listening to your all-time favorite songs, and be sure to pay close attention to the chords, lyrics, and any musical devices that make the song stand out. This will help get your creative juices flowing and will ultimately help you discover what elements are needed to make a song work. For an extra challenge, try playing those songs during your guitar lessons to work both your songwriting and guitar skills! This is by far the most popular method for songwriting. Start off with a chord you like and then see what other chords fit well with that chord. Once you’ve built a collection of chords that sound good together, adding melody and determining the rhythm will come easy. If you’re completely new to songwriting and are feeling a little confused or intimidated, the best thing to do is study other songs and use them as a model to base yours off of. This is particularly helpful when thinking about song structure. There are many ways to structure a song. Instead of coming up with your own unique structure right off the bat, you might want to use other songs to model yours after. For example, today’s music is typically built in 8 and 16-bar pieces. Try building your song in this structure first and then experiment once you feel more confident in your songwriting abilities. Creating an original song can be scary at first, but as with playing the guitar, it gets easier with practice. A lot of newbie songwriters tend to struggle with lyrics the most. If you’re feeling stuck or don’t know where to start, try picking out a theme or feeling you want to convey and write the lyrics around that. Once you have a few lines written down, then you can start to play around with structure, chords and melodies, and the cadence of your words. People often say the best ideas come from bouncing them off of others, and the true is same for songwriting. 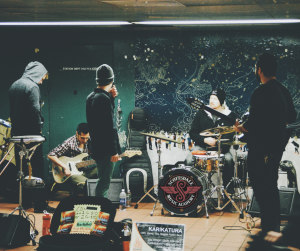 Share your songs with your inner circle or your guitar lessons instructor to get honest feedback on your work. Who knows, it may spark something even greater! 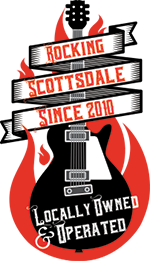 For additional songwriting tips, guitar info, and more, contact Scottsdale Music Academy — the Valley’s premier destination for music lessons, serving Scottsdale, Phoenix, and Paradise Valley residents.